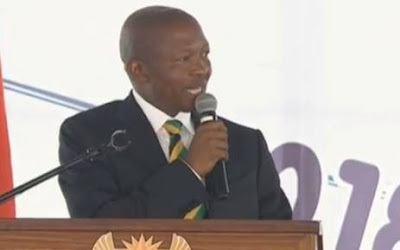 JOHANNESBURG - Deputy President David Mabuza says racial attacks among the people of South Africa show that the lives of those who were killed during apartheid were lost for nothing. Mabuza was speaking in Sharpeville at a Human Rights Day event. The event was to commemorate the 69 people who were killed in 1960 by the apartheid police, who opened fire during a peaceful march against pass laws. Mabuza says it’s disappointing that racism still exists in South Africa even after so many years. The deputy president says cases and incidents of racism show that South Africa is not yet entirely free. Mabuza was referring to cases such as that of former real estate agent Vicki Momberg, who was found guilty on four counts of crimen injuria. Mabuza says generations to come should be reminded of the struggle to free millions of South Africans from the apartheid rule. He says the anti-apartheid movement was about achieving equality. Mabuza says former leaders would be devastated when hearing about what is happening to children. Mabuza was referring to children who died after falling into pit toilets in schools, saying things there need to be changed.